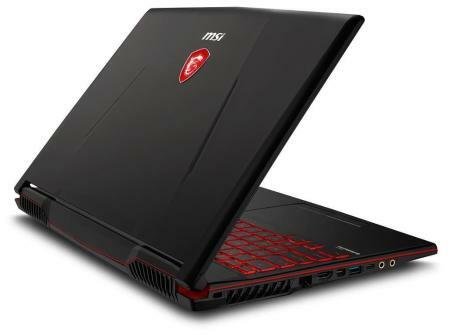 Price of MSI GL (Core i7- 8th Gen / 8 GB / 1 TB HDD / 39.62 cm (15.6 Inch) FHD / Windows 10 Home / 4 GB Graphics) GL63 8RC Gaming Laptop (Black, 2.2 kg) in the above table is in Indian Rupee. The MSI GL (Core i7- 8th Gen / 8 GB / 1 TB HDD / 39.62 cm (15.6 Inch) FHD / Windows 10 Home / 4 GB Graphics) GL63 8RC Gaming Laptop (Black, 2.2 kg) is available in Paytm. MSI GL (Core i7- 8th Gen / 8 GB / 1 TB HDD / 39.62 cm (15.6 Inch) FHD / Windows 10 Home / 4 GB Graphics) GL63 8RC Gaming Laptop (Black, 2.2 kg) prices varies regularly. Please keep on checking our site to find out the latest prices of MSI GL (Core i7- 8th Gen / 8 GB / 1 TB HDD / 39.62 cm (15.6 Inch) FHD / Windows 10 Home / 4 GB Graphics) GL63 8RC Gaming Laptop (Black, 2.2 kg).